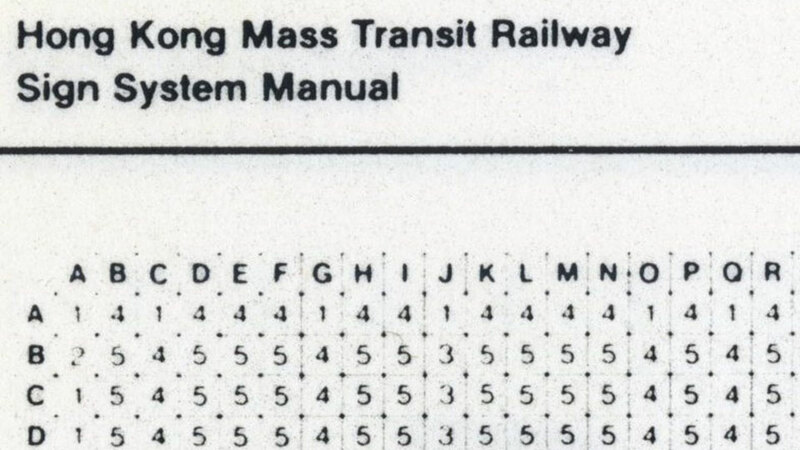 “The next station is Admiralty…” As the broadcast states the next station name, the passengers inside the compartments, mostly office workers in Hong Kong, start to tremble with anxiety. The passengers, looking panic-stricken, try their best to defend themselves against a huge throng on the platform of Admiralty station. On the other hand, those on the platform also keep thinking if they could get on the train. But rather than being like sardines, why don’t we look around the station and appreciate the typeface so-called “MTRSong”? There are still hidden gems of this font to be found! Since 2 years ago, the MTR Corporation has begun to adopt a new font for some of the station names. 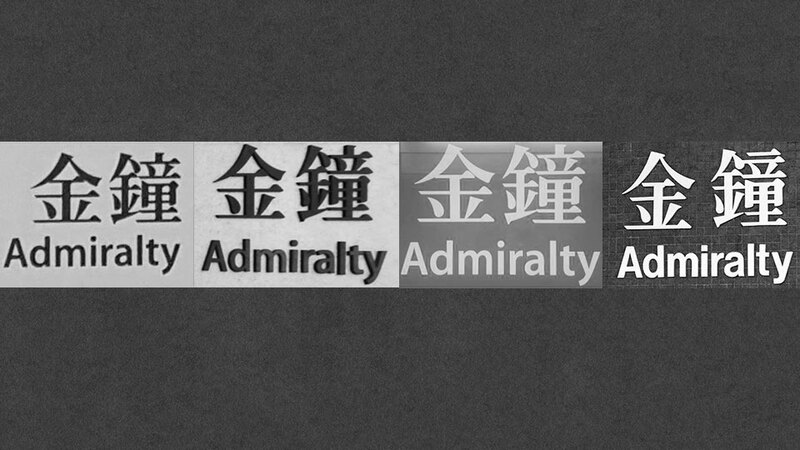 The alterations are made based on the original “MTRSong”, and a photo of the new font of Admiralty station even triggers debate among netizens. But what is “MTRSong”? 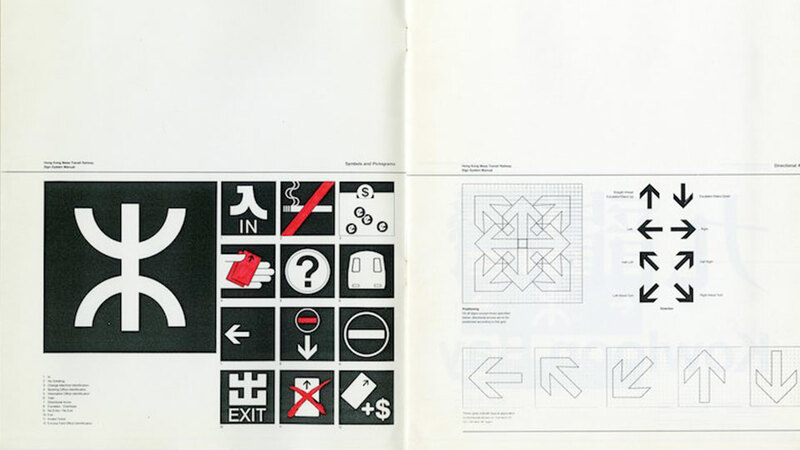 It is indeed a typeface created especially for the MTR Corporation by a font designer, Sammy Or. Although it is widely known as a Song typeface, it would be more accurate to call it Ming typeface. The characteristics of this typeface include thick vertical strokes contrasted with thin horizontal strokes, plus the end of the strokes are embellished. In many countries and cities in Asia such as Hong Kong, Taiwan and Japan, Hei typeface is normally adopted for road signs and signboards. You could find Hei typeface ubiquitously located on the signboards in Hong Kong International Airport, as Hei typeface shows a greater tendency towards symmetrical design. Yet, the MTR Corporation belongs to a minority, which keeps using Ming typeface throughout these years. Compared to Hei typeface, the strokes of Ming typeface are thinner with more blank space, making the fonts clearly legible and readable. Apart from the display adequacy of the typeface, Sammy Or also has another intention. “MTR is the symbol of the city’s spirit. 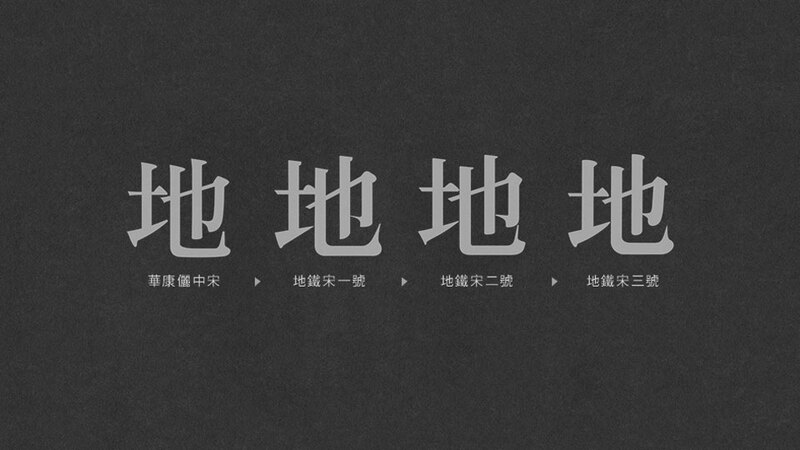 Greatly influenced by the regular script, Ming typeface demonstrates the atmosphere of Chinese culture. 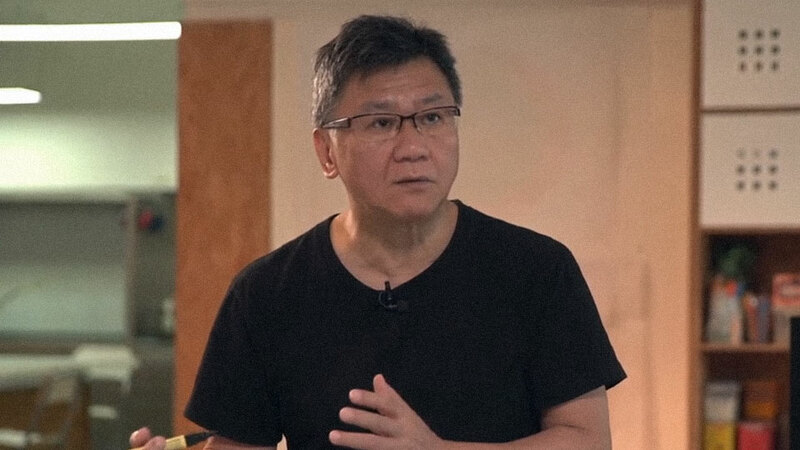 To an international metropolis like Hong Kong, this might be considered as a declaration of local subjectivity.” Words themselves are the carriers of culture. 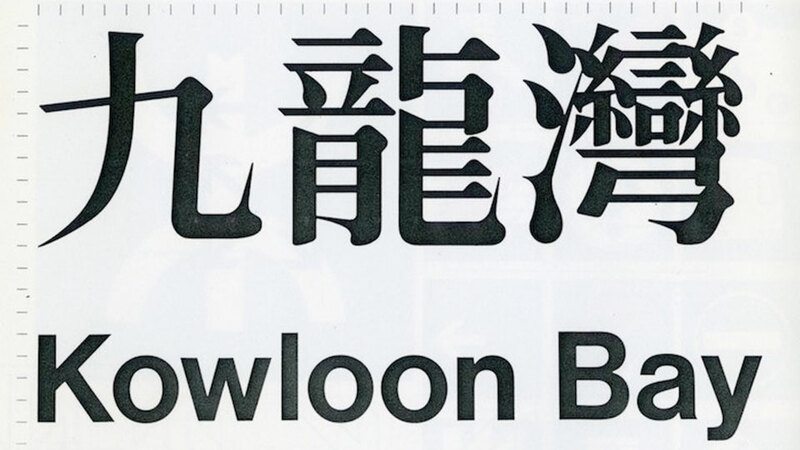 Thus, typeface design for MTR stations, where visitors from all over the world would pass by every day, must not be handled in a perfunctory way. “MTRSong” perfectly integrates functionality with aesthetics, and that is why Hongkongers like it so much. “MTRSong” were not created at random, but according to the stroke order mentioned in Kangxi Dictionary, one of the most authoritative Chinese dictionaries in China. Dating back to 1980s, the computer technology was not very advanced, so Sammy Or had to adjust the ratios of the strokes as well as the space between words with his bare hands and experiences. However, “MTRSong” has been modified for a few times. If we wander around the MTR stations, it is not difficult for us to discover that there are more than one type of font. Julius Hui, a young font designer in Hong Kong, suggests that “MTRSong” is a vague concept, as it comprises a few typefaces including the Li Song and Monotype Song family. The first generation of “MTRSong” is very popular among railway enthusiasts. It has sharp strokes, thin horizontal strokes, needle-like hooks, and its dots resemble horizontal lines. With a good balance, the second generation of “MTRSong” has smoother edges and greater width. As for the third generation of “MTRSong”, the vertical strokes is thickened, making the words look smaller. 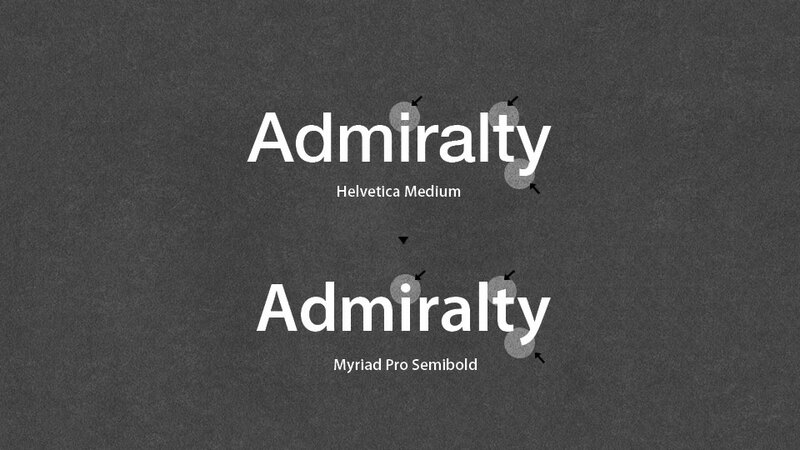 Besides, the English font has changed from the neutral, well-balanced Helvetica to Myriad, which is commonly used by Apple Inc. The latter looks more rounded, evoking a sense of hospitability. I believe good typefaces or fonts should not be determined solely by the artistic feel, but also their conciseness. No matter if you think they are beautiful or not, there are reasons to justify their existence. And they are created with a lot of hard work. Some people hope the MTR Corporation would continue to use the first generation of “MTRSong”, whereas the other people go for the new fonts. Apparently, people have different preferences towards fonts. Fonts are full of vitality—they carry meaningful contents, and can also be treated as graphics to meet the typesetting needs. Last but not least, appreciating different fonts allows us to learn to be flexible, too.